Finch Manufacturing & Technology Designs-Builds-Installs rotary processing and other specialized equipment. Our unique machinery and engineering capabilities enable us to machine or fabricate the LARGEST EQUIPMENT and parts. We have been doing this since 1855. 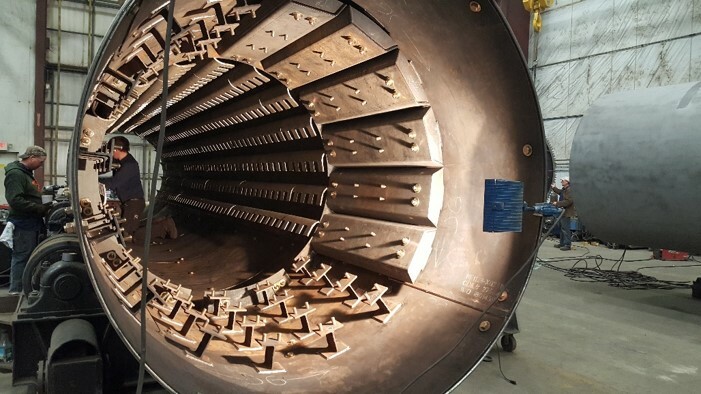 In addition to designing and fabricating complete kiln and dryer systems, Finch is a leader in producing components such as thrust rollers, trunnions, shafts, tires, and seals. We provide extensive Field Service Support ranging from system inspections to grinding and alignment. Finch can support your organization with preventive or predictive maintenance, installation supervision, engineering expertise, and/or complete project management. We support all OEM brands and all of our parts, new or refurbished, meet or exceed OEM standards. 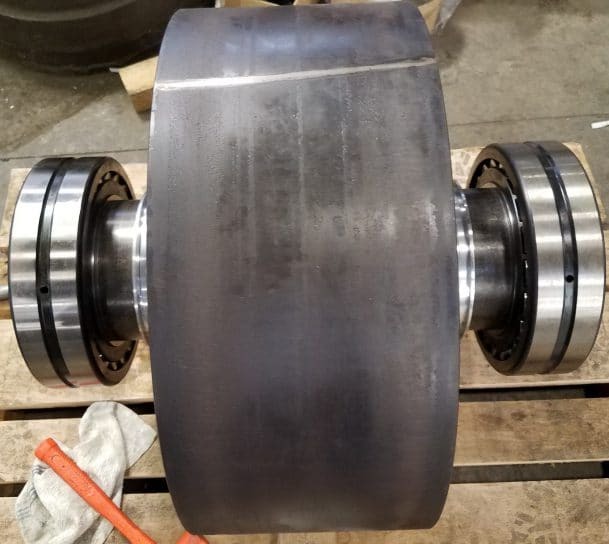 In addition to manufacturing new equipment, we routinely refurbish thrust rollers, trunnions, and other equipment. Additionally, our engineering department is often called upon to reverse engineer critical parts. FINCH HAS A LIBRARY OF OVER 10,000 PLANS AND DRAWINGS FOR ROTARY PROCESSING EQUIPMENT. IN A PINCH, CALL FINCH! Our skilled machinists, knowledgeable engineers, unique equipment, and customer dedication allow Finch to accommodate urgent requests and emergency work. 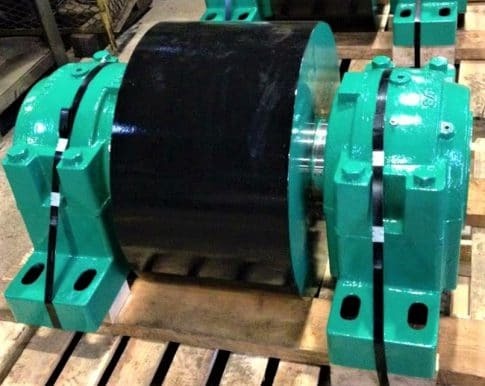 For instance, we were able to fully manufacture and ship a replacement trunnion in 36 hours for an emergency replacement. 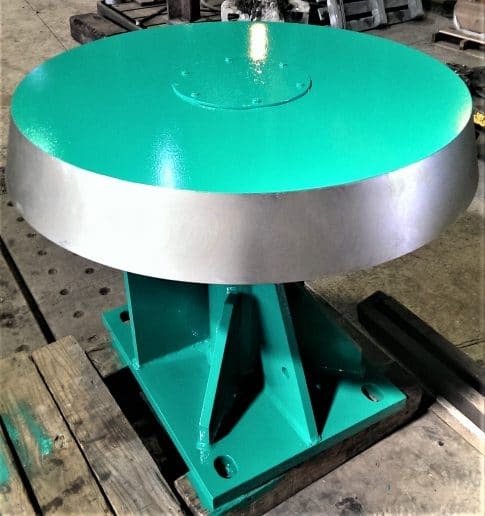 In addition to rotary processing equipment, our extensive manufacturing capabilities and engineering expertise enable FMT to design and fabricate a variety of equipment and components such as: augers, underwater shafts, railing, tension rods, and specialized nuts and bolts. At Finch, we believe in and act in accordance with our Mission Statement every day. 10,000 PLANS AND DRAWINGS. WE PROBABLY HAVE YOURS. These drawings save two of your most important commodities – TIME & MONEY! If not, our engineering department can reverse engineer your part. If we have not made your part, we have made one very similar. For many customers, we have been fabricating their parts for years. For some, we produce components that they stock, and we get replacement orders with little or no coordination. One customer just asked us to manufacture a replacement for a part we built them in 1987. We still had the plan! We work with thoroughly tested and stable suppliers who we have visited, inspected and most likely worked with for years. This insures quality raw materials and greatly reduces delays related to slow sourcing or poor quality. Finch possesses many different manufacturing capabilities. One customer said “Finch can do anything with metal” and that may be true since our company can track its linage to 1855! Here is a short list of our capabilities. Rotary Processing Components – Trunnions, Thrust Rollers, Seals, etc. 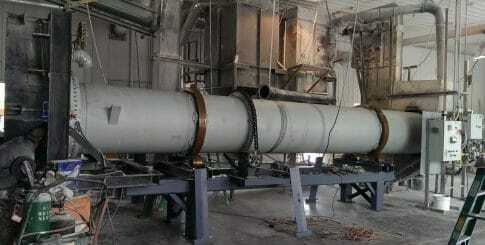 Refurbishment of Rotary Processing Equipment- Thrust Rollers, etc. Every customer is different, but all customers expect a quality product that meets their needs and is delivered on-time. Our team will diagnose the problem, find the solution, and be there with our customers to ensure it works. Being there is the critical aspect. We listen to our customers and ensure that both parties know the what, when, and how of the order. Some customers want constant communication and others just want to know their Trunnion will be delivered on-time. Finch’s management team possesses hundreds of years of managerial, engineering, and manufacturing experience. 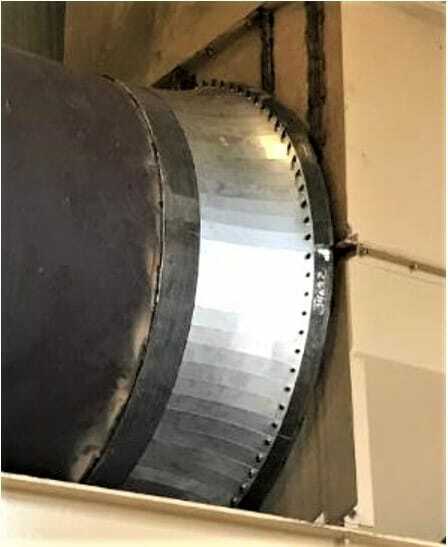 Our engineering and design team possesses a proven project management record and can provide the full spectrum of services from designing a single part to the more complex Design-Build-Install. Our team is often asked to reverse engineer a critical component. Our team closely monitors all action steps in each project, understands that project’s critical path, and keeps our customers updated on a regular basis. Our daily production meeting walks through every project and insures close coordination between the engineering and manufacturing teams. ‘Quality is job one’. Quality Control is embedded in every step or process. This starts in the proposal stage and carries through to delivery. Everything is reviewed at least twice from plans, ordering material, and validating dimensions in the manufacturing process. Prior to shipping, your part is reviewed thoroughly and inspected. Our facility can manufacture the largest and most complicated components or systems. For example, our facility is 100% covered by a 30-ton crane able to move the largest parts or equipment. In the last few years, we have invested hundreds of thousands of dollars improving and upgrading our facility in order to increase our production speed and capabilities. 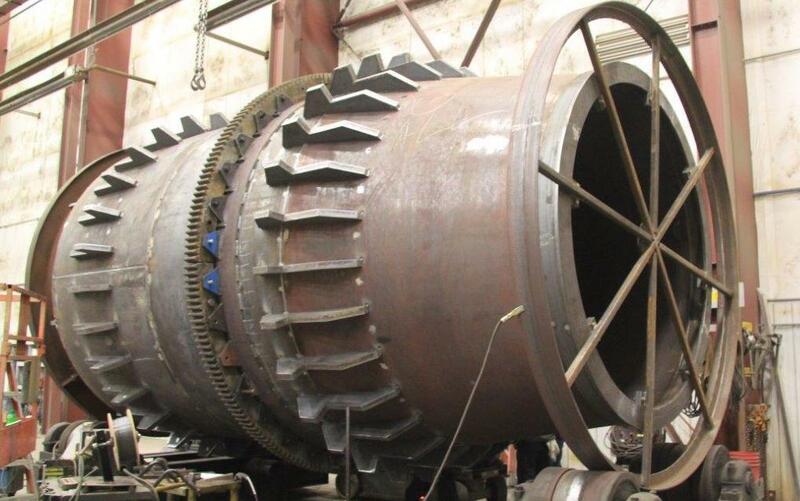 Finch possesses some of the largest vertical and horizontal boring mills in the US. We maintain and utilize all kinds of traditional equipment such as lathes, saws, drills, grinders, and welding equipment so we can fabricate nearly any component. There will be no delays in manufacturing since we do not rely on one means to complete a specific process. 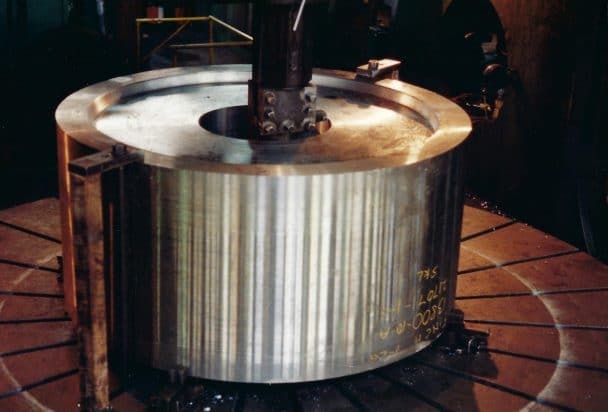 Our unique rotary processing and machining capabilities are matched by only a handful of domestic firms. Our team is available 24/7. Down time is very damaging and costly. Finch offers on-site machining, welding, emergency repairs, and other services to reduce your down time and get you back up and running. Our customers know we will get on the next flight to assist them with a critical problem and provide a timely solution. 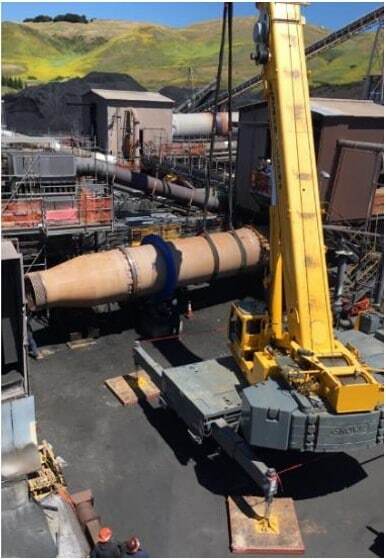 We also offer rotary system inspections to optimize the efficiency and productivity of your unit. Our engineers will work on-site and engage with our customers to find the right approach that meets their needs. We most likely have the plans for your equipment. 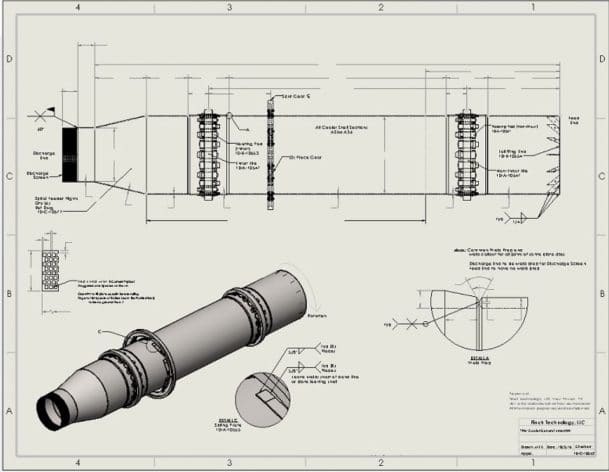 Finch possesses over 10,000 unique engineering drawings for parts in active use across the US and internationally. This means a lower cost component, installed sooner, and working as designed in our customer’s rotary processing system. Finch Manufacturing & Technology LLC is a certified Service-Disabled Veteran-Owned Small Business. Finch Manufacturing & Technology is a Service-Disabled Veteran-Owned Small Business.